If you’re like me, you have both introverted and extroverted friends. And if you’re even more like me, you probably do not have a lot of friends. This doesn’t necessarily mean you’re hard to get along with or you don’t like most other people. It probably means you really cherish those deep, meaningful connections you have with just a few friends. In other words, you’re an introvert. You’d rather have two really close friends than 10-15 casual friends or acquaintances. For many introverts, a strong sense of emotional intimacy and meaningful conversations are the most important aspects of true friendship — even if you and your friends don’t see or talk to each other daily. Nevertheless, even when you’re close to someone who’s just like you (or not), you may still have some issues when it comes to opening up to them about certain topics. Or maybe you can’t figure out how to tell them something without hurting their feelings or making them feel bad. If you’re an introvert who’s friends with an extrovert, this can really become an issue. Not because you don’t feel close to them, but because there are different dynamics of introvert/extrovert friendships. 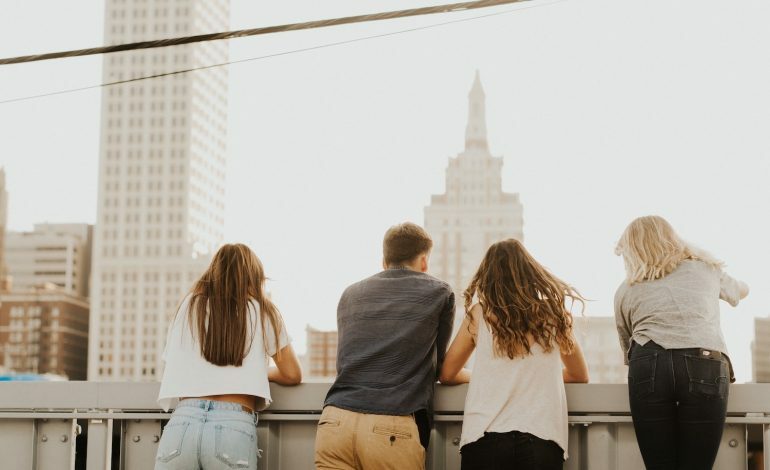 I can’t speak for all introverts, but here are five things most introverts want you to know about being friends with them — but probably won’t feel comfortable telling you. 1. Give me time to think about your social invitation. If you ask me to go out, let me think about it. I really, really try my hardest never to “ditch” someone after we’ve made plans. This is why I try to think carefully before giving an official “yes” or “no” after they ask. Being genuine and true is a huge thing for me, not just as an introvert, but just as a decent human being. This is why I take my time when making a decision if someone asks me to go somewhere or do something with them. That way, when the day comes, I don’t want to back out unless something serious comes up. On the other hand, there are times when I make the decision to say no after thinking about it for a few days. Please do not get hurt or be upset with me if I say no. “No” for me could mean anything. Perhaps I don’t enjoy the place you want to go to (or I can foresee myself not enjoying it). Maybe I just don’t feel like it. This reminds me of the saying, “It’s not you, it’s me.” But we aren’t breaking up our friendship or anything. When I say no to your social invitation, it really is about me and what I feel comfortable with — and not anything negative about you. Of course, I do know when I need to get out of my comfort zone and do something I wouldn’t normally do. Being an introvert isn’t necessarily a reason to say no to everything. 2. I love spending time with just you. If we’re friends, I love spending time with you. This means I don’t like to be “surprised” with other people showing up to our hangouts. When you unexpectedly add other people, it means we probably won’t get to talk about the meaningful things we usually talk about. It means a lot of small talk will happen. This can get awkward and boring not just for me but for the entire group. If you do want to add other people to our hangout, please let me know ahead of time. If I have time to mentally prepare, I’ll probably be okay with it — and may even enjoy it. 3. Don’t feel guilty about (occasionally) pushing me out of my comfort zone. This might seem to go against my first two points, but hear me out. While I’m far more comfortable in my introvert shell, don’t take that to mean I never want to step outside my comfort zone. Every once in a while, I enjoy striking up a conversation with someone new, and yes, even going to the occasional party. But I usually need some help to get there. This is why I love having understanding extroverts as close friends.They’ll push you just as much as you need yet give you the space you require as an introvert. 4. If I go quiet for days or weeks at a time, don’t think I’m ignoring you. I do not talk to any of my friends on a daily basis. It just doesn’t happen, whether it’s due to being busy with work, kids, or something else in my life. But it probably has more to do with the fact that I just like to be alone for periods of time. I do not need constant chitchat or daily conversations with my close friends in order to be happy. Of course, if a friend starts a conversation with me, I’ll gladly converse with them. I won’t ignore anyone — I just probably won’t be the one reaching out. I simply love spending time alone. It doesn’t necessarily mean I’m depressed or upset. In fact, most of the time, it probably doesn’t mean that at all. Being alone is my comfort zone. It allows me to really sit back and think about things in my life. Ultimately, it makes me a better friend to you, because it gives me the energy I need to “show up” in our relationship in a meaningful way. It helps those deep thoughts bubble to the surface, which means we have more interesting conversations when we’re together, instead of just gossip or something similar. 5. I value our friendship more than you probably know. Having a close connection with someone is really special. For introverts, it doesn’t happen often. I mean, introverts do not typically walk up to random people, make small talk, then bam, they’re friends. It just doesn’t happen like that. It takes a lot of work and energy for introverts to truly make the deep connections they desire. Sometimes we forget or maybe feel a bit awkward just straight up telling our friends that we really, really value our friendship. To have someone you can talk to when you really need it, someone you can be completely open and honest with, someone you can be funny and silly around is what every human wants and needs. Trust me when I say that I value my friendship with you, even if I don’t verbalize it. Introvert/extrovert friendships can be difficult to master if the two people aren’t willing to take some risks or step out of their comfort zones at least some of the time. Being open and honest with each other about what each of you need in the friendship is a step in the right direction. Shaylee not only considers herself a shy introvert but also an INFJ personality and a highly sensitive person as well. She's a lifestyle blogger from the Midwest with a focus on introversion, self-care, productivity, and mental health. She enjoys spending time with her children, reading, writing, working out and completing the occasional DIY project. She blogs at The Passionless Introvert.